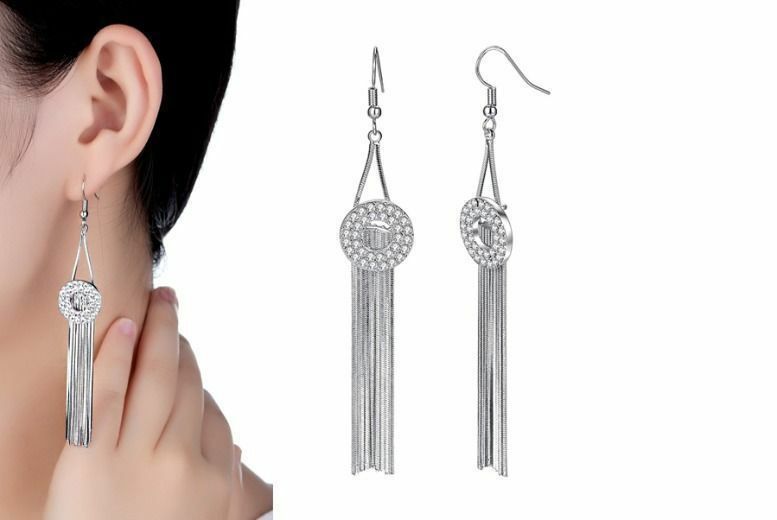 A stunning pair of silver plated drop earrings made with Clear Cubic Zirconia Crystals Can be worn on any occasion for that exquisite simple look. It’s so affordable you simply can’t afford to miss it! For an elegant, stylish finish to any outfit.